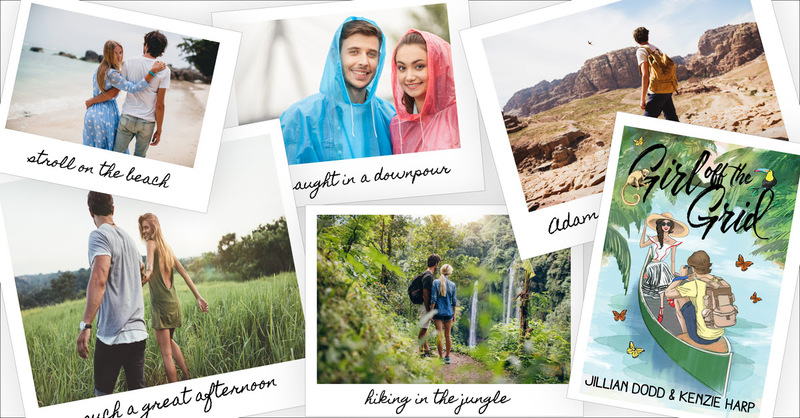 We meet Camille our New York fashionista hired by a popular magazine to take an eco-tour to Costa Rica and Panama and to document her travels daily. Part of the assignment is to be cut off from social media and truly immerse herself in her travels. Along for the trip is up and coming photographer Adam. Like many 18 yr olds, Camille has no idea about life, struggles, and the world that exists outside her New York bubble. Camille is a city girl to the bone, and is thrown into a world where no AC and no hot water begins her spiral into the world she couldn’t possibly expect to fall in love with. While our duo don’t exactly get along in the beginning. They come to appreciate the other’s differences. Camille’s young fresh spirit to Adams old soul outlook gives us a fun and playful romance as the two try to understand each other and the conflicting points of view the other has on life. 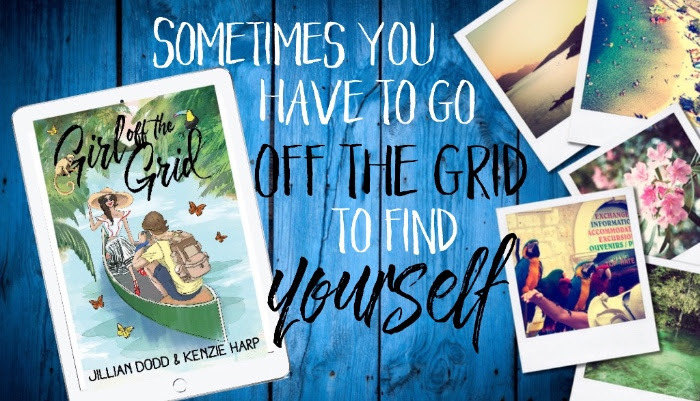 While Adam can dish out some sound advice about taking a risk and encouraging Camille to step outside of her comfort zone, he soon realizes that while Camille needs to take the outward risks, he needs to risk the most important part of himself … his heart. I really loved seeing the romance blossomed between Camille and Adam. While told in dual POV I especially enjoyed Adam’s perspective, finding it refreshing, swoon-worthy and so romantic! We all know that the reader can live a thousand lives through the pages of a book. This novel gives us, a beautiful sweet romance that’s also very informative. I could imagine this book being used in a classroom to share information with a younger crowd that I’m sure they would enjoy. While it is a romance it brings light to so much of the world outside our own that I know many have never even thought about. The Beauty of Costa Rica and Panama came to life. The adventures right outside our door even the not so pleasant part of Camille’s adventure seems like something the reader would gladly endure just for the taste of adventure Girl off the Grid provides. 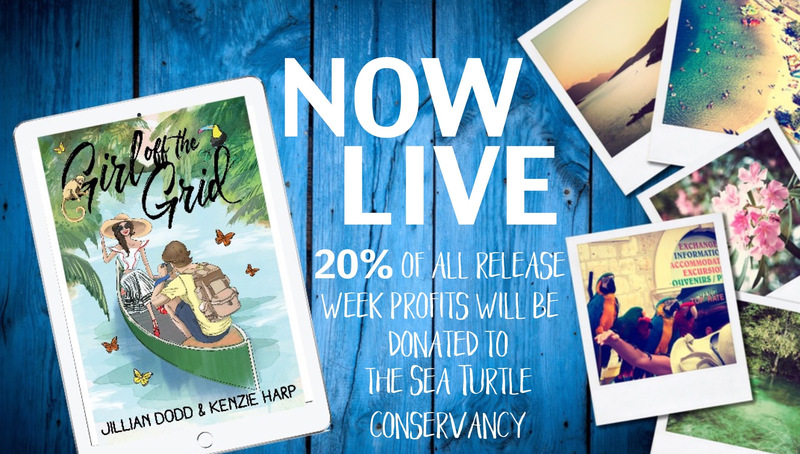 The story about how this book came about is great and one that I think you should look into more but should be mentioned that because of the adventures of co author Kenzie Harp 20% of the profits during release week (and 10% thereafter) will be donated to The Sea Turtle Conservancy. I love books for a cause and found this novel and easy read that many light-hearted individuals will enjoy. Pick up your copy below and let me know what you think! Next postSouls Unchained is LIVE!!!! I liked everything about this one – dual POV, sweet romance, duck out of water trope, well-written review, and supporting a non-profit. Lovely post! This sounds absolutely adorable! I will be adding to my TBR! Thank you! Hope you enjoy it!! Thanks for stopping by and showing all the love!!! You rock! I think I’m going to have to read this one. Thanks for putting it on my radar. This sounds good! I’ll be looking it up. Thanks! Fabulous review! Reading it has made me want to one-click! Great review, this is new to me book I never heard about it before until now. But I have heard about one of the authors Jillian Dodd, I had no idea she co-wrote a book with her daughter. And this book looks and sounds absolutely amazing and so much fun. Thank you so much for sharing your awesome post and putting this book on my radar. You’re so very welcome! I thought it was so wonderful that she wrote a book with her daughter! The pride she has for this release is so present in the novel itself. I hope you get a chance to read it! ❤ Thanks so much for stopping by!! Hope you get a chance to give it a try! Thanks for stopping by! This one sounds like a winner for sure. Great post. The book looks really good. This looks really interesting! Amazing review. What a great excerpt. I have heard of the author but haven’t read anything of hers yet. I guess it’s time to change that 🙂 Great review! Thank you! Hope you get a chance to! Great post! This looks like a great read. It really is! Hope you get a chance to read it!